A monthly worldwide digital games market report has been released by SuperData, and it appears to have been yet another spectacular month for Fortnite. 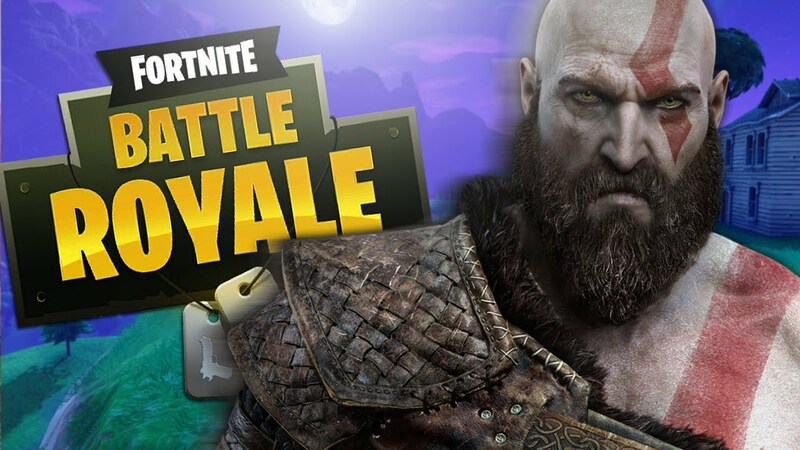 Apparently, the battle royale title from Epic Games earned revenue of US$296 million in April, smashing March’s estimate of US$223 million. Other big winners for the month were God of War and Honour of Kings. SuperData has released its worldwide digital games market research report for April, and it makes happy reading for management at Epic and Sony Interactive Entertainment. According to the estimates published, Fortnite Battle Royale is unsurprisingly the highest earner on the console platform and is in fifth position in the PC rankings. 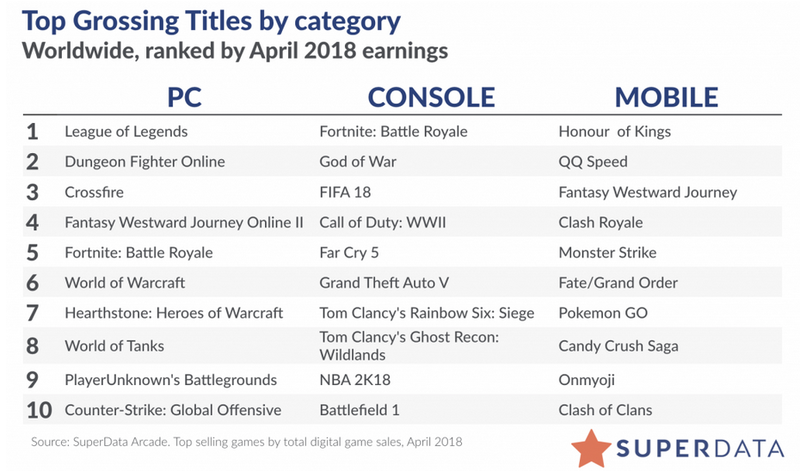 The report states that console spending in April has risen by 44% from March, and the battle royale king amassed a total of US$296 million in revenue across the PC, console, and mobile platforms. Sony's God of War came in second place in the console rankings, and it has already become the fastest-selling PS4-exclusive title. Honour of Kings also continued to enjoy massive success in April, topping the ranking for mobile games again. The multiplayer online battle arena title, known as Arena of Valor for markets outside of China, earned US$185 million in revenue, up from US$171 million in March. League of Legends took the number one spot in the PC rankings from Dungeon Fighter Online, whilst PUBG slipped further down the table to ninth place. An estimated US$9.09 billion was spent on digital games in April, up from US$8.9 billion in March. The 2018 figure is a significant increase over the US$7.42 billion spent in April last year.